It's that time of year again when chestnuts roast on the open fire, Jack Frost nips at your nose, Yuletide carols are sung by a choir and folks dress up like Eskimos. Yes...everybody knows 'tis the season for family, close friends, snow and lots of spending! Since I've become a broke Dental Student my Christmas Wishlist or every Wishlist for that matter just seems to be growing longer and longer. 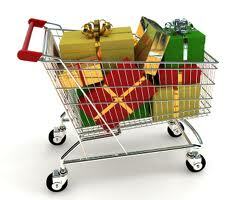 Did you know that during the Christmas season the average person anticipates spending $556 in gifts alone?! and I thought the Country was still in a quasi-recession. And yes, you guessed it - It's Mental Monday! Solve Away! totally agree with you about the expensiveness of christmas... it doesn't help that my 2 BFF are in law school and had cushy high 5 figure summer jobs- and spend way more than I can on my presents.